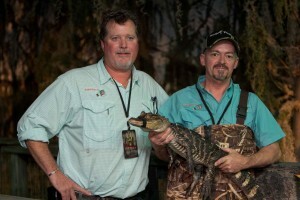 Greg and Bear at their Award-Winning “Swamp People” exhibit in NYC. 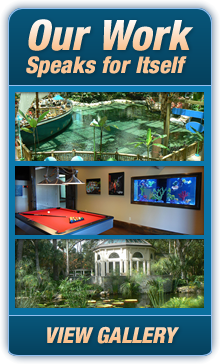 Bottled Ocean will design, custom build, install and maintain your next aquarium or waterway project for years to come. We manage over 400,000 gallons of both saltwater and freshwater every day. Years of researching the best marine environment fabricators and the formation of valuable partnerships has enabled Bottled Ocean to provide the highest quality aquariums, aquarium filtration products, and custom coral reef utilizing the latest technology. Through innovative research, development and the dedication to new technologies, Bottled Ocean continues to push the envelope and strives to impact conservation efforts throughout the State of Florida and beyond. Breakthrough research, along with the valuable relationships we have established, will ultimately lead to more productive use of our precious waterways, reefs and wildlife for generations to come. Since 1996, Bottled Ocean has been creating unique aquariums and waterways for Fortune 500 companies, celebrities and private homeowners throughout the United States and Caribbean. 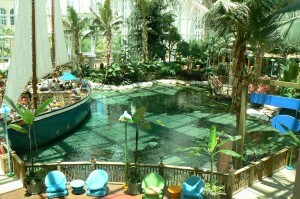 Bottled Ocean’s enormous live animal waterway project at the Gaylord Palms in Orlando, Fla.
Headquartered in Orlando, Bottled Ocean partners with many well-known companies including the Gaylord Palms Resort and Convention Center in Kissimmee, Florida. Bottled Ocean created and manages over 300,000 gallons of interactive animal waterways at the resort, including the largest known Euryhaline marine life exhibit. Under the leadership of Gregory Lund and Baron (Bear) Kozy, the company has grown to include an aquatic management and consulting division that provides the necessary protocols and procedures for large organizations to manage their aquatic programs successfully. For over ten years, the partnership and unique synergies of the two have established Bottled Ocean as a leader in the aquatic management arena. Baron Kozy founded the company in 1996. Bear’s love for aquariums began as a child and along with his strong engineering background; he continues to challenge the industry with his creativity and breakthrough research on numerous projects. He is an accomplished expert in artistic design, custom fiberglass fabrication, welding, automotive painting, custom metal fabrication, woodworking and many other arenas. His ability to think outside the box along with his creativity plays an important role in developing new projects for the company. Greg, having spent 16 years in the investment banking industry, was anxious to begin a new endeavor. He was inspired by the idea of aquatics, and quickly realized the potential for growth in the market. From the day Bottled Ocean was conceived in 1996, Greg played an important role in developing the strategies for expansion of the company. 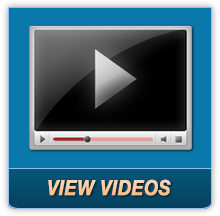 In 2003, Greg retired from the investment banking industry to head the company full time. Bottled Ocean’s mission is driven by an unwavering commitment to impact conservation efforts and provide solutions to help protect our waterways, natural resources and fisheries around the world. In fact, Bottled Ocean’s success is directly tied to this mission. As a result, the company is dedicated to providing solutions that will ultimately lead to more productive use of our precious waterways, reefs and wildlife for generations to come. We are members of the Coastal Conservation Association and work closely with The Florida Fish and Wildlife Conservation Commission. We are licensed and permitted to handle and maintain marine life species that others cannot. We place great value on working closely with many environmental organizations, institutions and government agencies. Bottled Ocean provides valuable research through our work and exhibits to these organizations.